“Plants and People” was the theme of a Wikipedia edit-a-thon that The New York Botanical Garden’s LuEsther T. Mertz Library hosted in January. Editors and organizers focused on creating and enhancing Wikipedia articles about women in science, specifically biographical articles of female ethnobotanists, plant taxonomists, and plant collectors. For this event, the special collections of the LuEsther T. Mertz Library were used extensively, allowing for analog biographical information about important women in science to be shared with the world through Wikipedia. 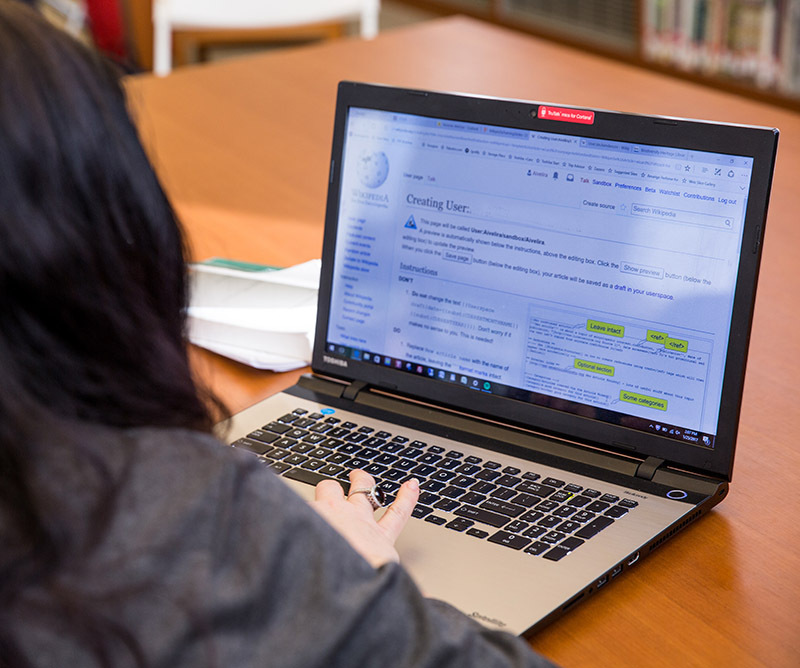 This was the second edit-a-thon at NYBG during the past year, and organizers benefited from the expertise and assistance of expert Wikipedia editors from the Wikimedia NYC chapter. Wikimedia, the foundation that supports the work of Wikipedia and its sister projects worldwide, posted a story about the event, including a video, on its blog. Broadly speaking, the Wikipedia community has undertaken a wide array of projects and events related to gender-gap narrowing. By way of example, the WikiProject Women scientists is “dedicated to ensuring quality and coverage of biographies of women scientists.” WikiProject Women in Red takes a larger focus with an objective to “turn ‘redlinks’ into blue ones within the project scope: women’s biographies and works by women.” A red link on Wikipedia signifies that the linked-to page does not exist. Essentially, users are able to create phantom links to articles that should exist. When an article is created, the red links to the article become blue links. The 23 participants at the event created one new article and edited 34 existing entries. At least 14 attendees said they were beginner editors. The prevailing feedback from these new editors was that the environment of learning from expert editors and from each other was accessible, helpful, and welcoming. In a Wikimedia video about the event, individual editors discuss the articles they worked with and the editorial actions they took to increase the profile of female scientists. You can watch the video here.